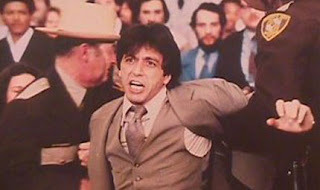 Pacino screaming, "You're out of order! This whole trial is out of order!”, will resonate in you long after you stop thinking about this film. A powerhouse performance by Al Pacino and you were so much expecting it. This film shows how much Al Pacino loves acting and as one trivia on this film goes, the last courtroom scene which seems to be more like a self-contained scene in the film was taken 21 times, until al pacino was convinced there was no better way to do that scene. This clearly shows the passion and that he will stop unto nothing. Now, talking about the film, looks like it was a bit too early a film for the times it was made in. Infact, even today it is difficult to make such a moving and fearless rebel movie. If you are angry with the judicial system and have a lot of stories and statements to make, this movie has it all and all these without losing the prime story in the film. The character set is interesting, the camera peeks, snipes and hides under the bench and can be seen across the courthouse picking up various threads to the whole story of a shame of the prevailing judicial system. Al pacino's immediate inspiration is a judge named Fleming (John Forsythe) who rather unexpectedly becomes his client. Forsythe looks marvelously like a judge. He has the razor-cut grey hair and the tired, thoughtful eyes and the gentleman's vague sneer when addressing a lawyer in his courtroom. Pacino has a client who has been in jail for months because of Forsythe. The client, as it happens, is innocent but sentenced to over a year jail term as he was found in the wrong time and at the wrong place. A victim of the system, and is not able to come out until Pacino and Forsythe can agree on several meaningless technicalities. 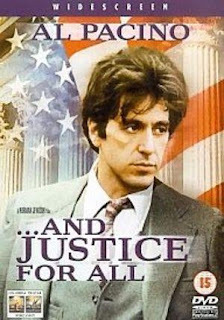 All these are thrown into the main plot, finally Al Pacino is left to decide to choose between humanity or the technicality of the case given under his preview. A final choice which mightthrow him out of the profession but standing for it, will upheld his faith in justice and truth. Are we ultimately given to choose as well, or will you leave your faith in the hands of Al pacino. As far as the ending is concerned, it reflects Norman Jewison's real intention with the film, he ends the film with a joke. Simply because, he made a joke out of the system, and we have no choice but to laugh with him. Can you please drop this DVD to our desi rebel director Madhur Bhandarkar, perhaps a better inspiration, please! !